This is the advanced system of choice for standard applications ranging from under 100 to 2000 cubic feet. 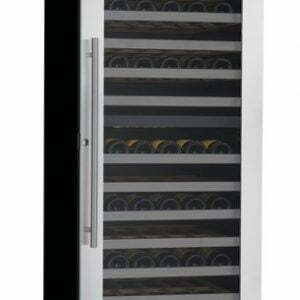 WKL Series Wine Cellar Cooling systems are compact, self-contained units. Our performance speaks for itself. This series is equipped with the Sentry III control system. -Large, easy to read, cool green display. 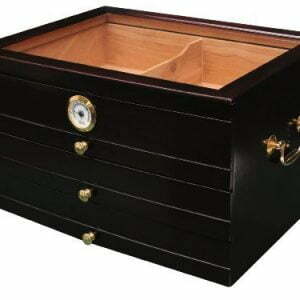 -Accurate, easy to adjust temperature set points with continuous display of cabinet temperature. 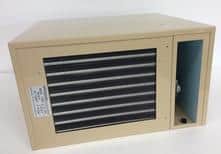 -Blocked airflow protection, which shuts down unit and protects wine in case of high temperatures caused by condenser blockage or fan failure. 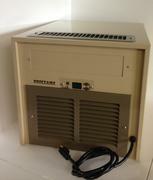 -Controls temperature by enclosure (cellar) air sensors or optional bottle probe. WKL 4000* 1000 cu.ft. 7 Amps 14.25W x 19.75H x 21.63D 81 lb. All six models come with the electric cord out the front (standard) or can be routed out the bottom (special order). 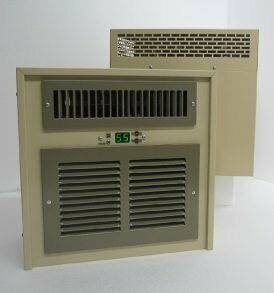 The 3000 thru 8000 models are shipped from the factory with the unit configured with the cold air routed out the front (Standard). 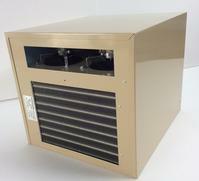 The installer can configure the cold air to be routed out the top (as pictured below). 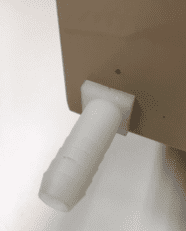 All WKL model have a drain tube located in the base of the unit on the cold side. Breezaire can install a drain fitting on the rear of the unit. Not only have we changed the color we have made the base out of Stainless Steel. The BLACK series is a upgraded WKL model. 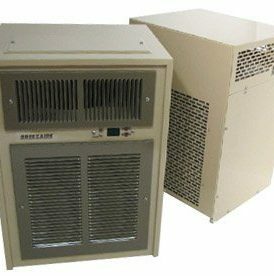 DESCRIPTION: The WKCE Series Wine cooling units are a compact design with cold air discharge on the bottom, which makes them ideal for installation in cabinets. 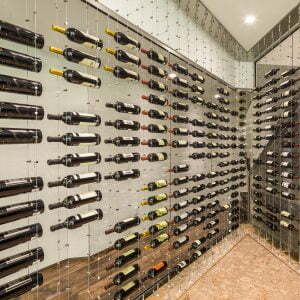 Because of their configuration the WKCE series wine refrigeration cooling units are not rated for specified number of cubic feet. 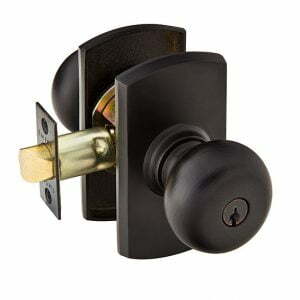 They are intended for cabinets and other constricted enclosures. Ask your BreezaireDealer for details. 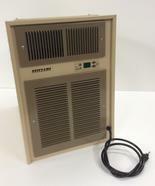 The WKCE has a digital electronic (Sentry III ) control system which features: Large, easy to read, green LED display. Accurate, easy to adjust, readable set points with continuous reading of enclosure temperature or displaying of set point when changing enclosure temperatures. Power outage protection, which delays units start up after power outages. Blocked airflow protection, which shuts down the unit and protects your wine in case of high temperatures caused by condenser blockage. 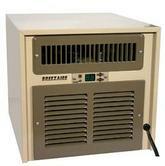 Controls temperature by enclosure air sensors or optional bottle probe. 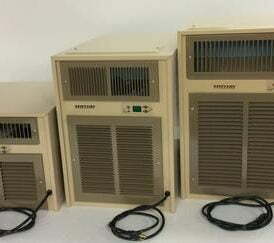 Units are shipped from the factory fully charged and ready for use when mounted in a wall and connected to 115 AC volt source *NOTE; WKC or WKCE models are in manydifferentmanufacturesWine cabinetsmany Wine cabinet units are modified indifferentforms please contact Breezaire direct for replacement information. 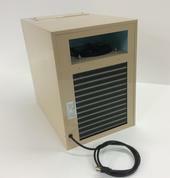 All units are 115 Volt, 60 Hz Model Electrical Dimensions (in) Weight WKCE 1060 3 AMP 18W x 10.5H x 16.6D45lb OPTIONS: Unit Modification: Special Order: Cord out the bottom (COB) Standard: Cord out the front Special Order: Hot air out the top (HAU) Standard: Hot air out rear of unit Bottle Probe 1)Both cabinet models come with the electric cord out the front (standard) or can be routed out the bottom near the rear of the unit (special order). 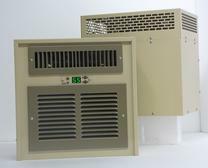 2) All cabinet units can be manufactured with the Hot Air out the rear (standard) or out the top of unit (special order). All factory modification will be a longer lead-time, modification up-charge and may not be cancelled or returned. 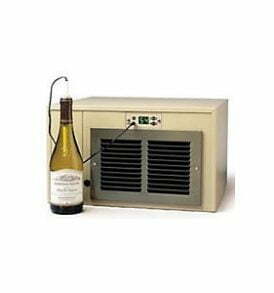 DESCRIPTION: The WKCE Series Wine cooling units are a compact design with cold air discharge on the bottom, which makes them ideal for installation in cabinets. 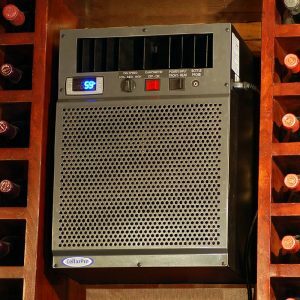 Because of their configuration the WKCE series wine refrigeration cooling units are not rated for specified number of cubic feet. 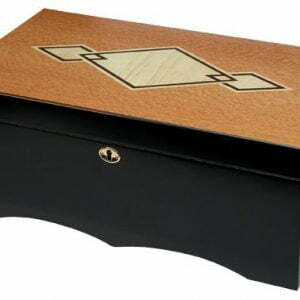 They are intended for cabinets and other constricted enclosures. Ask your BreezaireDealer for details. 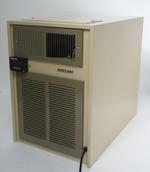 The WKCE has a digital electronic (Sentry III ) control system which features: Large, easy to read, green LED display. 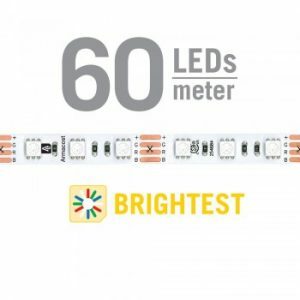 Accurate, easy to adjust, readable set points with continuous reading of enclosure temperature or displaying of set point when changing enclosure temperatures. Power outage protection, which delays units start up after power outages. Blocked airflow protection, which shuts down the unit and protects your wine in case of high temperatures caused by condenser blockage. 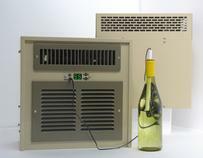 Controls temperature by enclosure air sensors or optional bottle probe. 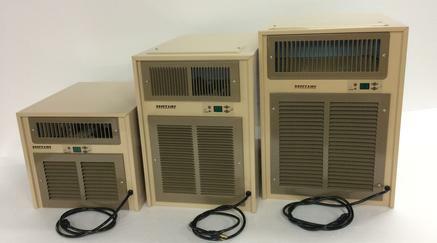 Units are shipped from the factory fully charged and ready for use when mounted in a wall and connected to 115 AC volt source *NOTE; WKC or WKCE models are in manydifferentmanufacturesWine cabinetsmany Wine cabinet units are modified indifferentforms please contact Breezaire direct for replacement information. 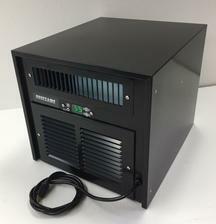 All units are 115 Volt, 60 Hz Model Electrical Dimensions (in) Weight WKCE 2200* 4 AMP 18W x 10.5H x 16.6D55lb *WKCE 2200 model is available in a 220v – 50 hz Model OPTIONS: Unit Modification: Special Order: Cord out the bottom (COB) Standard: Cord out the front Special Order: Hot air out the top (HAU) Standard: Hot air out rear of unit Bottle Probe 1)Both cabinet models come with the electric cord out the front (standard) or can be routed out the bottom near the rear of the unit (special order). 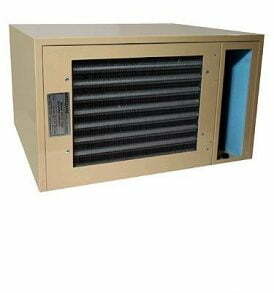 2) All cabinet units can be manufactured with the Hot Air out the rear (standard) or out the top of unit (special order). All factory modification will be a longer lead-time, modification up-charge and may not be cancelled or returned.